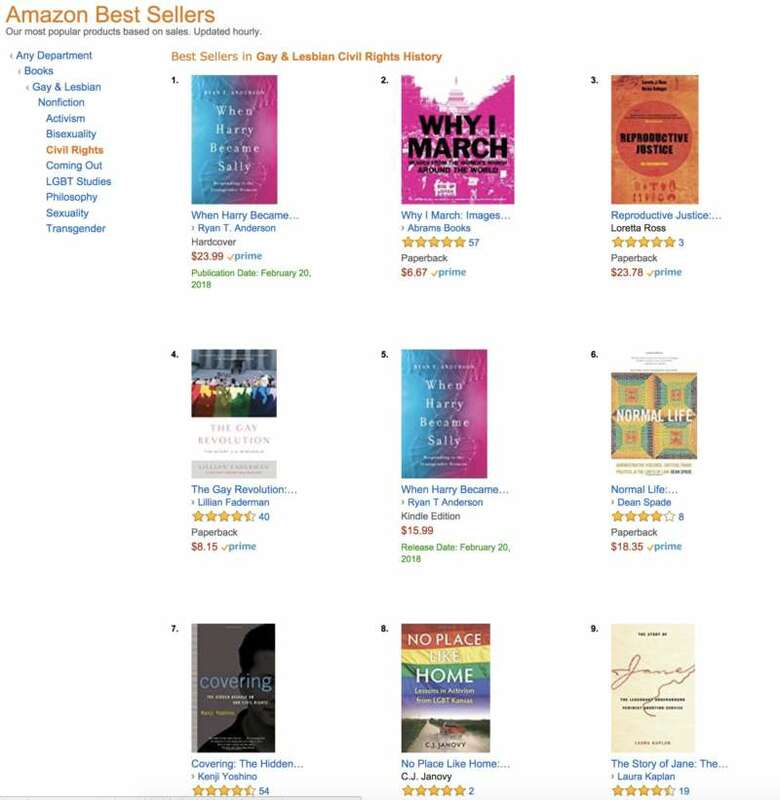 It’s not uncommon for right-wing books to become bestsellers, and that’s fine! We may not understand why anyone would want to buy a Milo Yiannopoulos book — there are cheaper doorstops, after all — but whatever. 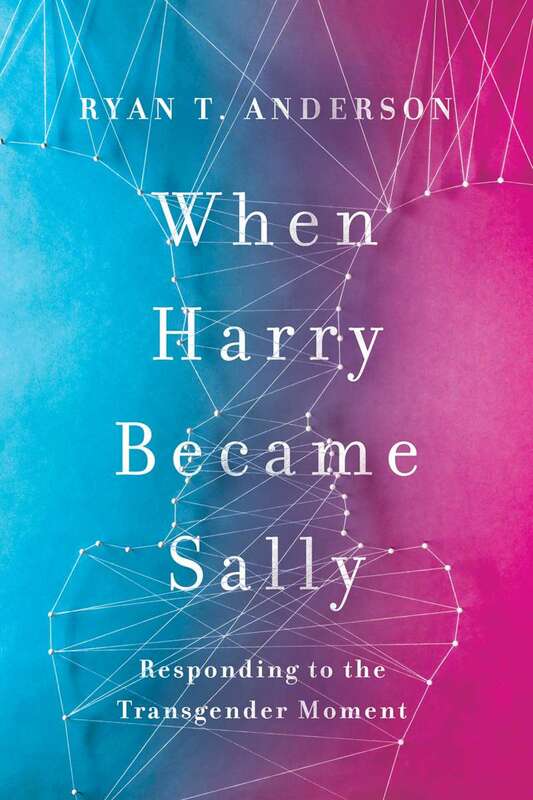 However, in the case of When Harry Became Sally by Ryan T. Anderson, it’s a bit strange. 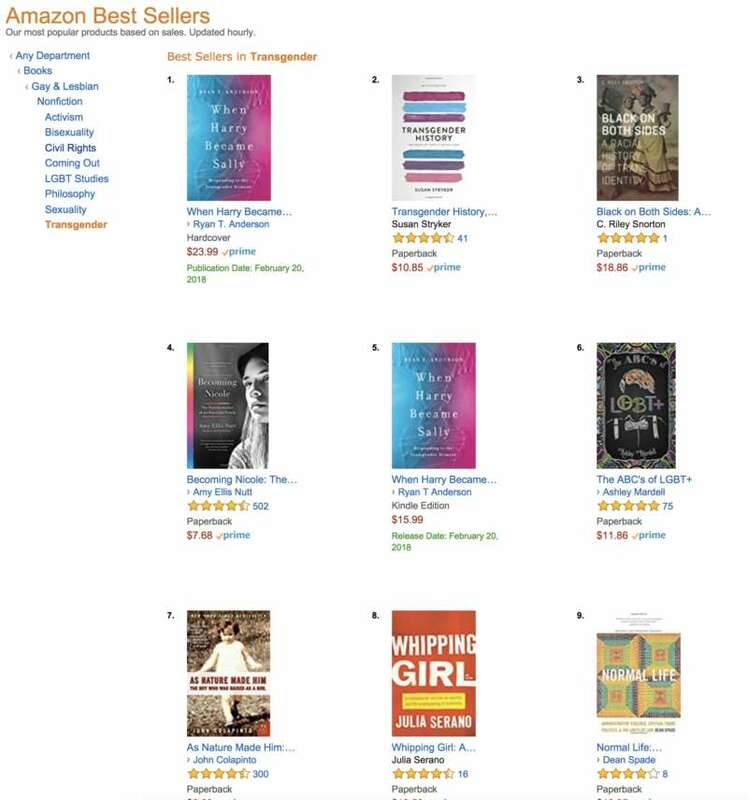 Amazon’s listed the transphobic book as #1 in two of its LGBTQ categories: Transgender and Gay & Lesbian Civil Rights History. Whaaaaat? What is When Harry Became Sally? And there’s a reason that many do regret it. As Anderson shows, the most helpful therapies focus not on achieving the impossible — changing bodies to conform to thoughts and feelings — but on helping people accept and even embrace the truth about their bodies and reality. This discussion will be of particular interest to parents who fear how an ideological school counselor might try to steer their child. The best evidence shows that the vast majority of children naturally grow out of any gender-conflicted phase. But no one knows how new school policies might affect children indoctrinated to believe that they really are trapped in the “wrong” body. Anderson’s “what about the children?” nonsense is particularly galling when you realize trans kids are much happier when their gender identity is supported. In fact, in cases where parents reject their trans kids, the kids experience higher rates of suicide attempts and substance abuse. The book is also #1 in the Law: Natural Law category, but that makes sense. Though we disagree with the book’s premise, it does have to do with legal issues. However, for the book to be listed in the Transgender and Civil Rights History categories is dangerous and insulting, respectively. Let’s take the easier one first. We’re not really sure if books fighting against civil rights should really be listed as being about civil rights. When you add “history” to the mix, it just makes it extra confusing. 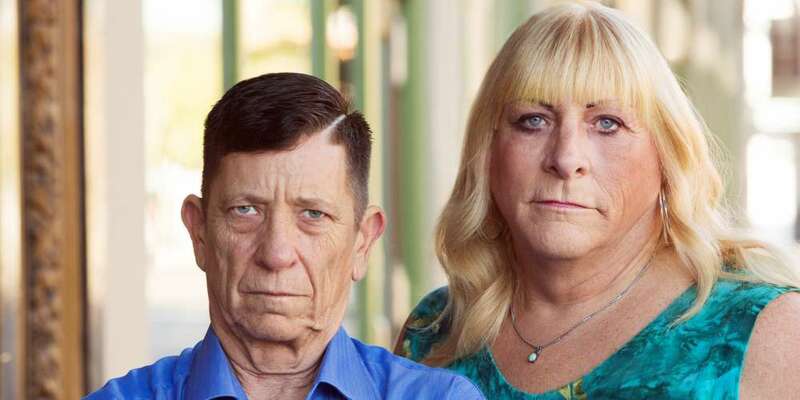 After all, we’re still in the “transgender moment,” as Anderson calls it. It isn’t history at all, according to him. 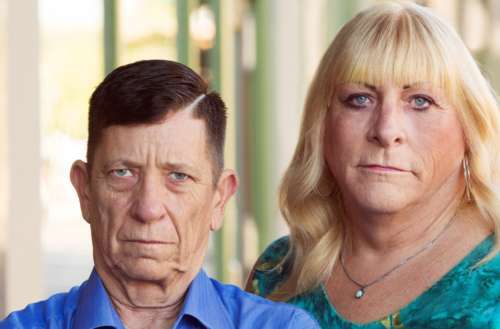 But where it’s particularly dangerous is being at the top of the Transgender charts. Just imagine a trans person who’s beginning to understand their gender identity. Maybe they’re not so sure about it, given the political climate, their upbringing or any other reason. They head to Amazon to check out some books to help them out, and what better way than to take a sampling of the top books in their Transgender charts? So they pick this book and get a notion about how being trans is wrong and transitioning doesn’t help…. That doesn’t help anyone (other than helping Anderson line his pockets, of course). We’re not saying this book shouldn’t be sold. If people want to buy and read nonsense, it’s their right. But please, keep this out of the LGBT section.